As experienced chartered accountants, the team at Keith Willis Associates is here to help with any aspect related to personal tax. Whether it’s self assessment tax returns, income tax preparation of specific calculations for large transactions or capital gains tax, we offer a range of services to make sure you’re prepared and informed no matter what your requirements. Personal taxation can be a stressful process. Not only do you have numerous tax forms to fill out, each with their own deadline, but there’s also the fear that you will end up paying more tax than you otherwise should. 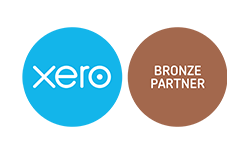 With sound advice from the skilled accountancy team at Keith Willis Associates, we can provide specific tax planning services to help reduce the hassle and stress that comes with personal taxation. Whether you’re self employed, run your own business or just require specialist advice for your personal finances, contact Keith Willis Associates today. We don’t just file tax returns – we can help build your tax strategy to reduce tax payments in the future. We’re based in Nottingham and are always happy to help.